SPHERA aims to enhance territorial governance in the Alpine Space, focusing specifically on the policy areas of health and spatial planning. It addresses issues like demographic change and accessibility to services of general interest in order to improve social cohesion and quality of life. The capitalisation approach of SPHERA builds on current and finalized Alpine Space projects within the thematic field of“inclusive growth“. 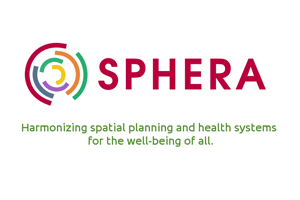 Learning from the results of these projects, SPHERA has the ambition to contribute to Cohesion Policy through the development of health and spatial planning policies. The project will also help to prepare the ground for the new generation of projects in the programming period 2014 – 2020 by identifying gaps and supporting synergies.